He was singing and playing accordion. 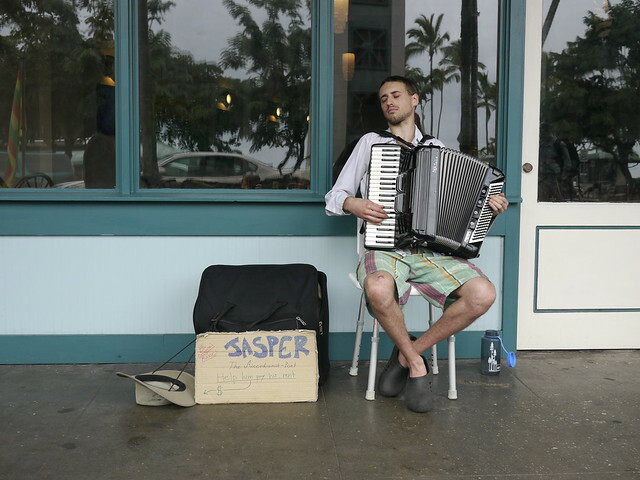 You see a lot of busking musicians with guitar, but not so often the accordion. Consequently, I gave him a tip.